UKIP members are being warned of a potential scam involving phone calls from an overseas number from someone claiming to be a UKIP official and suggesting they join a new political party. A "New Referendum Party" has been phoning UKIP members claiming to be a UKIP branch official, urging them to jump ship to this new party. The "New Referendum Party" hasn't been identified but co-incidentally a new single issue referendum party was launched by former UKIP MEP, Nikki Sinclaire, last week. Whether she is behind this is unknown at this time. The fact that the telephone number being used to contact these members is an overseas number would suggest that whoever is behind it is either trying to avoid Data Protection laws or is operating a scam and as Sinclaire is still, to the best of our knowledge, under investigation for alleged expenses fraud you would expect her to steer clear of anything dubious such as this. Either way, whoever is behind this aren't the sort of people you would be advised to entrust with your personal or financial details! If any members are concerned that they may have been tricked into parting with personal details or money by someone falsely claiming to representing the party then they should speak to the police. No live blogging from conference today - more people are interested in Twitter so follow @Bloggers4UKIP and the #UKIPConf hashtag. We will be live blogging from conference today and we have a pre-conference meet-up at the Starbucks across the square from Birmingham Town Hall. We will be live blogging from day two and three of the conference at Birmingham Town Hall. Conservative peer, Lord Stevens of Ludgate, has today defected to UKIP. Baron Ludgate was Chairman of Express Newspapers in the 90s and says that he has given up hope of David Cameron doing anything eurosceptic. UKIP now has three members in the House of Lords with Lord Stevens of Ludgate joining former leader, Lord Pearson of Rannoch and Lord Willoughby de Broke. Former UKIP MEP, Nikki Sinclaire, has announced her intention to form a new political party to contest EU elections. Saint Nikki of Meriden, as she is also known, caused mayhem in UKIP when she declared war on Nigel Farage using members as cannon fodder and allegedly encouraging a young member of staff to misuse UKIP membership lists to create fictitious accounts on the members' forum to post pro-Nikki and anti-Farage comments. In the end, she had the whip removed and was banned from using the UKIP name. She was expelled from the party but sued to have the expulsion overturned and due to a clerical error, UKIP's defence wasn't submitted in time and she was awarded a default judgement and allowed to rejoin. Sinclaire of course has no hope of being elected as an independent MEP, hence forming her own political party. She still has very little chance of being elected but may dilute the eurosceptic vote enough as the fake eurosceptics in Libertas and No2EU did in the last EU election to allow the vote-splitting Tories to scrape by ahead of UKIP, setting back the eurosceptic cause. There is no denying that Nikki has done some fantastic campaigning against the EU and she did some great things in UKIP but there is no cause more important to Nikki Sinclaire as Nikki Sinclaire. It's understandable that she would want to protect her political and financial future but for someone who pontificated on putting the cause before your own interests when she was still a UKIP MEP, it's pretty hypocritical to launch a rival political party that can only damage the eurosceptic cause. On the plus side, it's grounds for kicking her out of the party that not even an experienced litigator such as Saint Nikki can sue their way out of. The Tories have recycled yet another UKIP policy as their own - this time the Britdisc policy that would see foreign-registered lorries charged a licence fee to drive on our roads. The idea behind the Britdisc was to combat road and fuel tax avoidance by large hauliers, to keep dangerous foreign-registered lorries off the road and to remove some of the unfair advantage foreign hauliers have over UK-based operators. It seems the Tories have finally cottoned on to the obvious unfairness in the system and decided to adopt UKIP's solution to grab a positive headline. The EU will rule it illegal of course but the Tories will have hopped onto another headline-grabbing bandwagon by then. Whatever a dead loss David Cameron is generally, one thing he was right about was the need to reinvigorate the "little platoons" of the voluntary society: social atomisation has been one of the saddest and most socially destructive trends on the past few decades, both because of the personal isolation it has caused and also because New Labour's Big State stepped in to fill the gaps, sapping community initiative and self confidence, as well bankrupting the country in the process. Where Cameron got it spectacularly wrong was to believe that something that is by its nature bottom-up, organic and incremental could be presented as a top-down, big picture vision to the electorate. Not surprisingly people were left baffled and bemused. 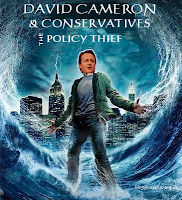 Cameron's obsession with the concept is widely credited with the failure of the Tory Party to win a majority at the last election. But belatedly, people are beginning to get it. Voluntarism was rightly praised as a major factor in a successful Olympics. There are other straws in the wind as well, such as rises in Church attendance. Now social media seems to be about to turbo-charge these trends. New social sharing sites such as streetbank.com and zipcar are creating a new ethic of collective consumerism, where individuals will share resources and skills to build more organic, cohesive communities. However much we may mourn our declining individual material wealth, it must be regarded as a good thing that people are prepared to leave their silos, look over their high fences and finally get to know their neighbours. It will also in the long term help our economy. For far too long our economy and society has been driven by a rampant, shallow consumerism, fuelled in part by a feeling of spiritual emptiness and lack of meaning many people feel to their lives. Under New Labour it became a runaway train, and as we all know we have know racked up huge personal, corporate and government debts that will take decades to unwind. The consumerist model is now plainly unsustainable, and voluntary sharing of our resources within organic communities will be an important part of enhancing our lives, both materially and spiritually, in the years ahead. UKIP can help drive this process by emphasising a genuine commitment to localism and getting involved at a local community level. Secondly, the party should commit itself to reversing the morally grotesque nationalisation of the charity sector: under the New Labour government, huge numbers of fake charities were set up to do the governments bidding in a covert way and also provide jobs for the boys and girls. Both the Big State and shallow consumerist societies are widely seen to have failed, as have the LibLabCon parties which oversaw the rise of these malign trends over several decades. Driven by both economic necessity and information technology, the society slowly replacing it will plainly be very different from the one that most of us have known all our lives, and the people within it maybe willing to vote for new political parties who offer a fresh vision and approach. Now that our exit from the EU is arguably within sight, UKIP may also need a new direction in the years ahead, and should be prepared to meet that challenge. The Greek President has warned the EU/ECB/IMF plutocrats sent in to oversee the implementation of punishing EU austerity that the Greek nation can't take any more. Unemployment is still rising and 1 in 4 Greeks are now out of work but the EU sill wants more cutbacks and sackings. Up until now, we've been receiving a merciless lashing. I think we have paid enough for our mistakes, and Europe must realize that it needs to help Greece. Meanwhile, over 100,000 people have protested in the Portuguese capital (and ironically the city that gives its name to the hated treaty that gives the EU almost limitless power), Lisbon, today against more tax rises and EU austerity. 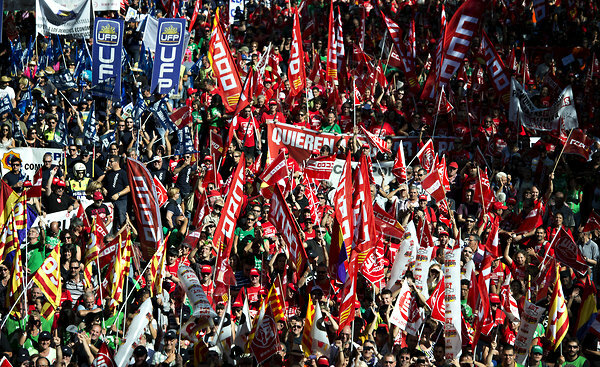 Tens of thousands of Spaniards also descended on Madrid today in protest at tax increases and spending cuts. The europhiles just don't get it do they? People are demonstrating on the streets of European capitals at EU taxes and austerity so the europhiles call for deeper cuts, more taxes and the abolition of the nation state. It's unbelievable. 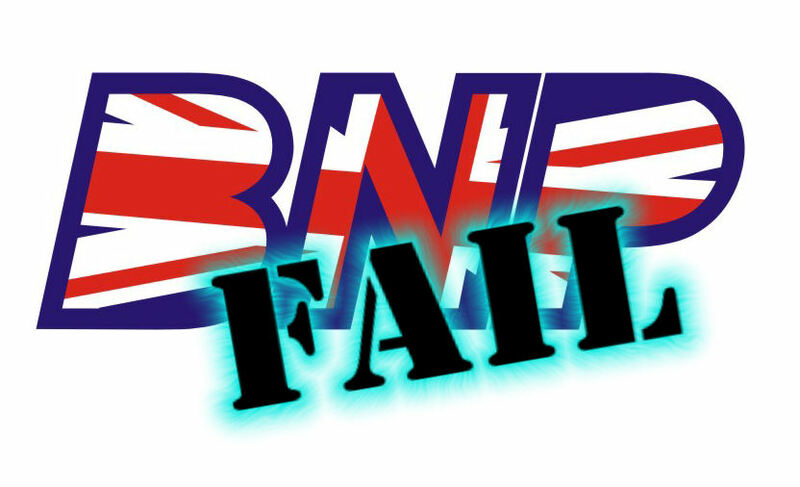 The Electoral Commission has fined the BNP for filing its 2010 accounts late. The accounts were eventually filed with the Electoral Commission in February this year and resulted in a £2,700 fine. People have a right to know how parties are funded and how they spend their money. Quite. We're still waiting for an explanation as to why the Lib Dems were allowed to keep £2.4m of stolen money donated to them by convicted fraudster Micheal Brown through his offshore company that doesn't trade in the UK whilst UKIP was pursued relentlessly through the courts by the Electoral Commission for the forfeiture of £350k donated by a retired bookmaker who lives in the UK and isn't a crook but who was mysteriously removed from the electoral register by his local authority without his knowledge. It's absolutely right to fine the BNP because they wilfully broke electoral law by not filing their accounts in the full knowledge that they were breaking the law and would be fined. The Electoral Commission is very uneven in the enforcement of its rules though, giving the LibLabCon a free rein to take money from crooks and frauds but coming down hard on anyone who challenges the status quo. A Conservative councillor in Hartlepool has criticised two UKIP members for calling a by-election. Cllr Ray Wells, the leader of Hartlepool Conservatives, says that the election should have waited until November when a mayoral and police commissioner election are being held to save money. I condemn the actions of UKIP because it will cost the taxpayer thousands of pounds extra. UKIP are fully aware the by-election could have been held on November 15, the same day as the police commissioner and the mayoral referendum. That would have saved thousands of pounds of hard-earned taxpayers money but they have decided to call it. Of course I am in favour of democracy and people in the Seaton ward should have three elected members but for the sake of a couple of extra weeks, the local authority could have saved that money. The fact that the two UKIP members that called for the election are people in Seaton ward seems to have escaped Cllr Wells' mind. Would he have criticised two residents who weren't members of a political party? Unlikely - that might cost votes! If no by-election was called then no by-election would have to be held, leaving them free to co-opt one of their own to fill the vacancy. UKIP has historically been quite strong in Hartlepool although that position has weakened somewhat since former UKIP Councillor, NEC member and Deputy Chairman, Steve Allison, resigned to help found the local resident's group/political party, Hartlepool First which has upset the Tory/Labour status quo. This election is an opportunity for UKIP to regain a foothold in Hartlepool which of course the Tories fear immensely given that they are the smallest group on Hartlepool Borough Council behind Labour, the independents and Hartlepool First with just three councillors. Nigel Farage has told the Telegraph that the UKIP logo is to be replaced as the battle to save the pound has been won. There have been periodic suggestions from members that the logo or name or both should be changed but they've never gained any traction. It seems that the decision has been made by a committee (presumably of the NEC) to change the logo and shorten the name officially from United Kingdom Independence Party to UKIP - a change that most people made years ago. The name change makes sense because the party is almost universally known as UKIP but the £ sign logo is instantly recognisable as UKIP. The Tories changed their logo in 2006 from the torch to the much-mocked tree yet the torch logo is still recognisable and in fact a Google image search for the Conservative logo will bring back many copies of the torch logo on the first page while many of the tree logos shown are parodies. UKIP is now accepted as a credible political force with a growing support base and a fatal challenge to the established two and a half party establishment. Changing the most recognisable thing a political party has - its logo - when it has finally broken into the mainstream just doesn't make sense. If it ain't broke, don't fix it. There is a straw poll for members on the UKIP Faculty group on Facebook on whether the change of name and logo is welcome. UKIP's economics spokesman and respected economist, Professor Tim Congdon, has calculated the cost of EU membership at an average of £5,700 per household. The cost comes not just from the eye-watering £53m per day in direct contributions but the cost that comes from red tape, anti-competitive practices, fraud, waste, etc. All in all, membership of the EU is costing the UK about 10% of GDP or £150bn per year. You can read the full story on the Daily Express website. 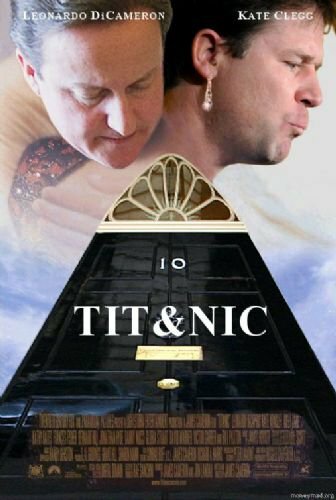 The SNP has had a warning shot fired across the bows of the SS Independence by the EU, much to the delight of unionists. But how worried should the pro-independence lot be? The EU has said that an independent Scotland would have to negotiate EU membership if it splits from the UK. The unionists have jumped on this are happily warning the Scots that not only will they lose the security of the British union if they vote for independence but they will lose the security of the European union as well. Unfortunately for them it was't Scotland that was being referred to but Catalonia although the principal is much the same. There are a couple of questions the British nationalists need to ask about this before they start pontificating at the SNP. The most obvious one is what are the EU actually saying? Emperor Barosso said that EU citizenship for Catalonian (and therefore Scottish) residents would have to be "negotiated within the international legal order". The assumption being made about this statement is that Barosso is saying Scotland would have to negotiate its membership as if it was any other country wanting to join. And what of this negotiating within the international legal order? International law is quite clear on what happens when one state secedes from another. The assumption is that all states will become successors where treaties are concerned with all the rights and obligations they entail. Scotland will remain a party to any international treaties the UK is a party to now if it secedes from the UK under international law. The idea of the EU turning down a membership application is laughable, especially when the application is from a socialist, europhile country with oil and fish. The EU is likely to screw concessions out of Scotland in exchange for making the process smoother such as putting a time limit on the opt out from the €uro and Schengen and giving the EU control over Scottish oil and gas and Alex Salmond will give it all to them because he doesn't have a plan that doesn't involve EU membership. With truly impeccable timing, on the day that Barroso ripped off the mask and urged upon us the formation of the European Superstate, BAE announced a proposed takeover by the European defence giant EADS, in part owned by the German and French governments. You and I might think that Ol' Cast Iron would have to have a death wish to allow the merger to go through, but lets face it he is a Tory "leader", and therefore his default setting is one of myopia and cowardice. In his blog Iain Martin lays out a case to block the merger, but he really is not thinking big enough when he outlines some of the political consequences. In his analysis, once they had a controlling interest, the German and French governments could use the potential for British job losses as a bargaining chip with our future relationship with the coming EU superstate. True, but the long term implications are much, much worse. As Nigel Farage states, what is emerging is a new EU Dictatorship. Encircling us at it will from the channel to the Irish border, our position will feel somewhat insecure at the best of times. Now, it would be stretching it rather too much to think that a future EU superpower would actively seek to wage war on the UK, but what counts here is the intimidation factor in our future relationship. A UK outside the EU super power but without a sovereign defence capability may be not that much better off than within it. Even Dave must understand that how he handles the BAE issue will be seen among many as an important litmus test to his attitude towards future EU negotiations, where the future destiny of our country will be decided. If he bottles this, then it really is time for those Tory MPs flirting with UKIP to put up, or shut up. The British government has been told by the EU that it has to charge the minimum EU VAT rate of 15% on energy efficient products. Things like insulation, wind turbines, solar panels and wood burners providing hot water only attract 5% VAT to encourage their use to meet the EU's punishing yet completely futile and unnecessary global warming targets. By increasing the VAT to 15%, buying and producing environmentally damaging electricity is more tax efficient than producing what is billed as clean electricity. 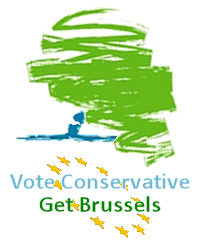 The Climate Change Minister, Greg Barker, has put together a robust response to the interfering busybodies in Brussels - he's started a Twitter campaign to try and get them to change their minds. Truly pathetic and a demonstration of who really runs the country under this supposedly eurosceptic Prime Minister and his merry band of europhiles. Having created a whole industry from nowhere with the global warming scam, the EU is now going to reap the profits from the unsustainable "green" industry it created before it all collapses by tripling VAT on what it produces. We often have a bit of fun with Dan Hannan-baiting here at Bloggers4UKIP. His unworldly attitudes to a Tory-UKIP relations and to political tactics generally are simply too easy a target to miss. That said, Dan is that very rarest of birds - a Tory who sees the bigger picture. This piece on the realities of Western decline and how it is manifesting itself is truly brilliant and the most insightful piece I have read on the economic downturn. Programmed as we are by Hollywood films and media sensationalism to think in catastrophic terms, we are missing the slow, remorseless grinding down which is taking place all around us. Dan makes the very good point that we are also too strongly influenced by historical footage of the last Great Depression, and think we should be witnessing social calamity all around us: soup kitchens, Jarrow marches and near-starvation conditions. Instead, as we are so much richer than we were 80 years ago, People are not, in the main, reduced to such desperation. As a consequently the political violence or even violent revolution that people predicted in some European states has (yet) failed to materialise. That said, people are imperceptibly becoming poorer: In the UK, employment is increasing, but wages consistently lag inflation. In many Southern European societies, the situation is of course much worse. As things decline, we can expect life to become progressively nastier and meaner. But what Dan misses from his analysis is that there is another major difference between society back in the 1930s and today. Then, at least in the UK, there was a much stronger sense of national identity and common culture. Yes, there were those who made the siren calls for workers solidarity and the rousing verses of the Internationale, but generally a British worker, no matter how desperate his circumstances, still identified with the British state. Now, it would be truer to say we live in a neo-medieval society. In medieval times, as now, society was dominated by a small, very wealthy elite who spent their time manoeuvering at Court and playing international power politics. Motivated largely by personal greed and ambition, they held the general population in contempt and had far more in common with contemporaries in other realms. Political structures were also broadly similar, with weak accountability and the common man having virtually no control over the governing system. The European Union, of course, is a secular analogy for the Holy Roman Empire of the Medieval period. As the economic conditions of the majority decline, in the short to medium term the very wealthy globalist elite are insulated from the effects and have little personal incentive to improve matters, particularly as that may mean curbing some of their own grandiose ambitions. However, just as the Medieval epoch resulted in peasant's revolt, inevitably the neo-medieval one will also. One can perhaps perceive how our arrogant, effete, decadent Liberal elite will eventually be brought down by a general population whose culture becomes progressively rougher and more brutalised as economic deterioration takes its toll. What if anything of our way of life or Institutions survive this process is another matter. UKIP MEP and Humberside Police and Crime Commissioner candidate, Godfrey Bloom, has been slated by the Yorkshire Post and rent-a-rant, Peter Tatchell, for suggesting that everyone should be treated equally in the eyes of the law. Godders said that if he is elected PCC for Humberside he would stop the practice of treating crimes against people who consider themselves part of a minority group as worse or deserving of harsher penalties than the majority. The Yorkshire Post misrepresented this as wanting to abolish the concept of hate crime which clearly isn't what Godders was saying. Even when the Yorkshire Post contacted the press office for a quote and it was pointed out to them that he was merely saying that everyone should be treated the same regardless of their colour, religion, sexuality or whatever they define themselves by they still published their misleading article. They even went to Peter Tatchell, who can be replied upon to feign outrage at pretty much anything from symbols of British Imperialism in Australia to the Grand Mufti of Moscow's opinions on gay marriages, for an opinion. The Yorkshire Post is a Tory-supporting newspaper (even getting the exclusive story on the naming of the Tory PCC candidate) and of course UKIP is the biggest threat to their preferred candidate who has very little chance of getting the kind of publicity being enjoyed by Labour's millionaire socialist class warrior Lord Prescott and UKIP's Godfrey Bloom MEP. Join us for a pre-conference Coffee at 8am on Friday 21st September at Starbucks in Colmore Row. We're not made of money so you'll have to buy your own coffee but the company is free! The postcode for Starbucks is B3 2AU and it's only 150yds from where the conference is being held. There are two Starbucks on Colemore Row so please make sure you head for the one nearest Town Hall! Via Austrian economist, Detlev Schlichter, comes news that the EU Central Bank has declared itself the lender of last resort for €urozone countries. Apparently this is allowed under existing treaty provisions and means that if an EU member state is unable to pay its way it will be legally responsible for creating some magic money out of thin air to lend to that member state, just like the Bank of England did to bail out RBS, Lloyds, Northern Rock and the other banks it ended up financing. 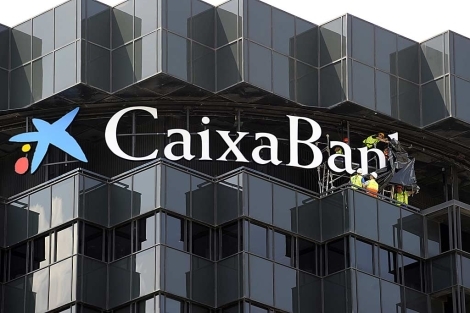 On the subject of the Bank of England, it's interesting to note that the BoE provided almost €58.6m of capital to the ECB which represents a 14.5% share in the company. What I have been unable to discover thus far - but intend to find out - is whether the Bank of England is liable for the debts of the ECB and if it is, whether that liability is limited and to how much. UKIP candidates contested two by-elections yesterday. Great results for UKIP. Wins would have been good but second and third are better than last! Political newspaper, London Spin, has published the results of an online poll which says that Conservative Future members see Young Independence as a threat. London Spin claims to be one of the UK's leading newspapers although I've never heard of it so I'll have to take their word for it. The poll only had 150 respondents so it falls well short of what would be considered a representative sample and there is no weighting so again, the results need to be treated with some scepticism. That said, 64% of respondents said they saw UKIP as a threat which is well beyond the margin of error. The defection of high profile Conservative Future officers Alexandra Swann and Jakob Whiten was a bitter blow for the Tories who are struggling to keep their young supporters so it's hardly surprising.